Practice Jewel allows you to do more with less effort – it's so easy to use and saves you time with your daily management activities. Book more treatments by making your schedule available when your clients are. The convenient and easy to use online scheduler allows clients to make appointment requests 24 /7. Control your schedule without sacrificing client convenience. Set your hours, add automatic break time between appointments and block off personal time when needed. Send automatic text message and e-mail appointment reminders to reduce patient no-shows. Add your booking calendar to Facebook. You can even synchronize your work schedule with your personal calendar (Google, Outlook or iCal). Save time with automatically generated receipts that include all appointment and treatment details and important practitioner information such as tax and registration numbers. E-mail patient receipts, complete with your signature, all in one click. Submit 3rd party insurance claims for your patients. 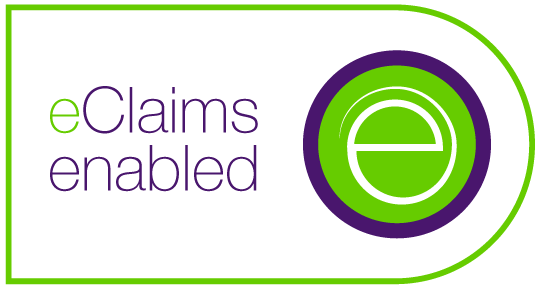 The TELUS Health eClaims service is an integral part of Practice Jewel’s billing process. The unified integration of the eClaims service saves you or your office staff precious time by eliminating the need to double enter patient and treatment information. Complete management of your patient data. Create and maintain patient records all in one place – contact information, insurance details, treatment SOAP Notes, consent forms, x-ray reports, referrals and more. All your records are stored securely, backed up daily, and can be reviewed and retrieved at any time. Detailed, organized and legible treatment notes are easily created and maintained with a few clicks of a mouse. Your patient’s previous treatment note can be instantly duplicated and then modified as needed to make the creation of a new treatment note much faster. If you offer classes, this module is for you. With this add-on, Practice Jewel allows you to easily promote class information, accept online registrations and manage your class schedules. Our attractive mobile friendly themes are easy for clients to navigate anytime, anywhere and from any device. Customize your website with your own logo, images and colours. Add or change your website content yourself, anytime, at no extra cost. Our professionally designed websites come with premade content pages full of industry relevant information, so you can be ready to have your website online in minutes. Customize as much or as little as you want. Gain new revenue and promote your practice to new patients. Easily sell, track and manage gift certificates sales and redemption right within the software. Communicate with your entire patient list quickly and conveniently. Practice Jewel comes with its own mass email tools that interfaces directly with your contact list allowing you to easily communicate with your patients. The system allows you to group your contacts into mailing lists and send information or promotions to individual patients, specific patient groups or all your patients.